Dreaming about the day when you can hire a personal chef who will have dinner ready you after work? 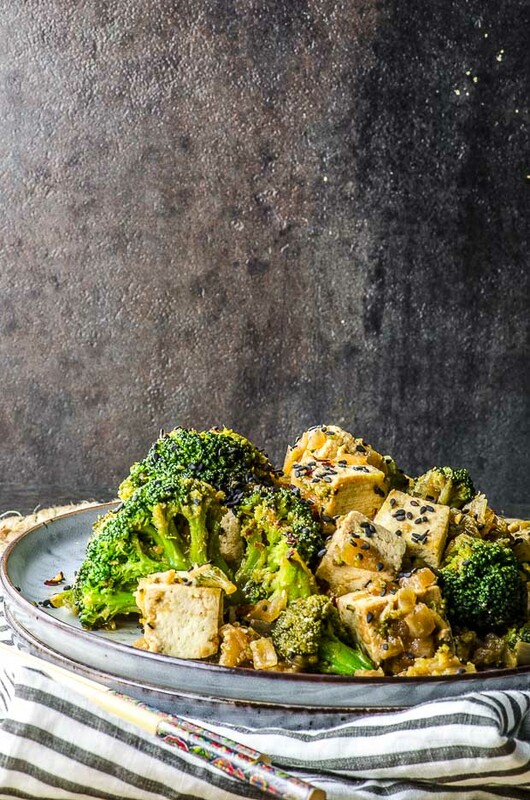 Our Sesame-Teriyaki Tofu & Roasted Broccoli Sheet Pan Dinner is so quick and easy, you’ll feel like your dream came true! Sheet-pan dinners are our new obsession and with good reason. 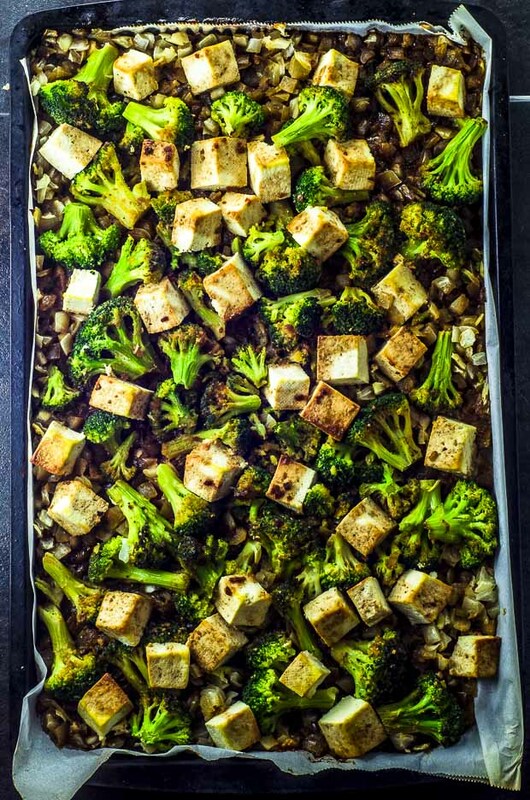 Sheet-pan roasting gives protein wonderfully-crispy edges, turns vegetables mellow and sweet, and creates delicious stir fry-like sauces from a sprinkling of spices, juices, and condiments – and all with minimal supervision of your oven so you get to the more important things in life. With the release of our new cookbook TAHINI & TUMERIC: 101 Middle Eastern Classics Made Irresistibly Vegan, we haven’t had much extra time lately so sheet-pan meals have become a mainstay in our homes. Thanks to the endless variations of frozen vegetable blends and spices available in the markets today, the options for sheet-pan meals are truly limitless. One ingredient that we always have on hand is a bag of frozen chopped onions – they are easily blended with other vegetables (fresh or frozen) and add a touch of sweetness once roasted and caramelized. 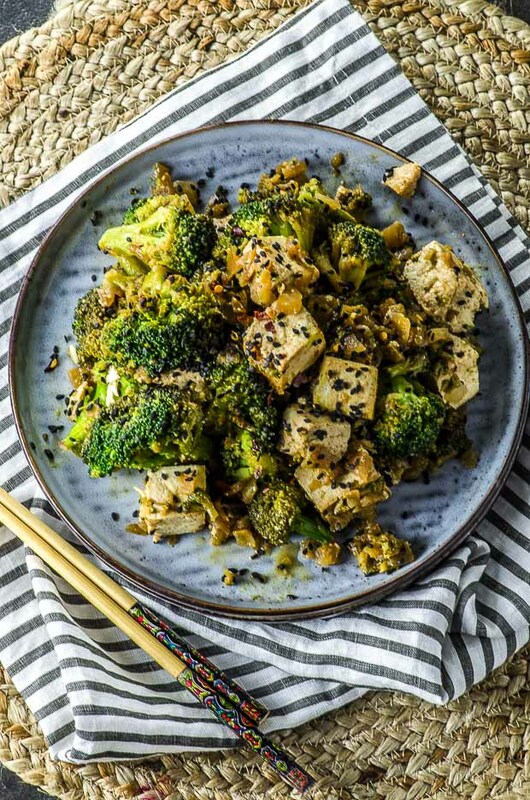 We love to use vegan protein in our sheet-pan meals including extra-firm tofu (no draining necessary), tempeh, or seitan. Try topping your sheet-pan meal with roasted nuts (peanuts or cashews are delicious! ), sesame seeds, red pepper flakes, dukkah, good quality tamari, coconut liquid aminos, sriracha or hot sauce. Did you like this Sheet Pan Dinner recipe? Leave us a rating! Did you love it? Share it or leave us comment on Twitter or Facebook! Dreaming of the day when you can hire a personal chef who will have dinner ready you after work? 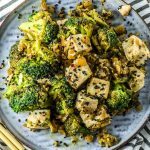 Our Sesame-Teriyaki Tofu & Roasted Broccoli Sheet Pan Dinner is so quick and easy, you’ll feel like your dream came true!